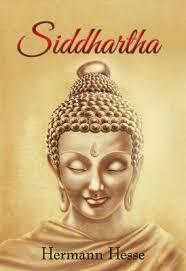 Have you read the book Siddhartha? By Hermann Hesse? If you haven’t may I suggest pick it up now. I have a pdf I can lend to you any time. Idea of the book (in short) is that Siddhartha is an exceptionally gifted Brahmin boy who decides to undertake his own journey to nirvana and how his story proceeds in due course, twisting and turning ways. There is a beautiful encounter in the book where he meets Buddha (born as his namesake) himself and how they each have an opposite way of looking at moksha or nirvana. What is nirvana? Or salvation? It is a state of shoonyata. Zero or nothingness. When no sense of attachment to worldly pleasure remains behind. I was thirteen when I lost my mother. And to cope with this pain I started meditating. In due course, I lost track but once again guided by a Guru I picked up where I left. And in no time crossed many levels (which is a separate post). While meditating you understand what life means. How much of it is not real. And what lies beneath is a superfluous membrane of souls waiting to connect with higher self. Soul’s only purpose is to achieve salvation, moksha or nirvana. And this craving is what drives it birth after birth. Reaching a point of no return is an extremely difficult task. Cutting worldly ties is not just about money or success it is also about emotions. How Swami Vivekananda, much ahead in his road to nothingness, couldn’t bring himself to cut ties with his own mother. And time and again, recorded in his writings the anguish he felt over her pains. Buddha on the other hand has known to take the latter road to self actuation. He gave up everything. He started with the knowledge of shoonyata to achieve it. He walked the path of belief. But path of overwhelm is what Osho suggested. He said achieve so much of everything that it all becomes empty. Let your experience be your belief. And somewhere I don’t agree with everything Osho says, but when it comes to life I do agree- Dream big, achieve even bigger and every single time you will see the futility of your being. No ambition is worth forever. And yet. Ambition is my nirvana. And you said it! The path to Nirvana is different for different people, there is no one true way. You got me thinking about my purpose and nirvana now. Though I have been thinking about purpose w=for a few day, I’d like to focus on my route to Shoonyata. PS: Can you lend me the book? Very interesting Richa – you’ve put me in thinking mode. Having finally found my passion and purpose, I know what I want to put out in the world. Every time someone is touched or impacted by it, it feels like all of this has been worthwhile. Somewhere I also think we are born to fulfill some sort of purpose. So I tend to look at shoonyata as operating from my heart center as often as I can and not giving in to my Lower instincts. And when I do – as we all do! – examining, letting it go, and coming back to the heart. This comment has become a mini blog post – sorry about that!! It just said it all. Please do email me the pdf. You have said some very uniques points which I am used to listen in my jain family and I do believe in that sentance that says we are not attached to any worldly things or even to our close ones. This feeling can only be understood by those who has experianced this state. I really like the Osho statement, when you achieve something than you realise it is not that special what you actually think so… when I received my first stipend while doing my Anaesthesia post graduation, I had no feelings, no happiness, no sadness, it is what is it. This blog touched something inside. Well said. I had read the book in my teenage, need to re-read it and rediscover it’s teachings. Thanks for sharing this, needed it. As Jaibala said, the path to Nirvana is different for different people, there is no one true way.